Universal Music’s SVP of A&R for Central Europe and Africa, Joe Chialo, explains why Africa’s music market has the potential to grow into a thriving business and how Europe can make the most of creativity in the continent. Watch the full Q&A with Joe Chialo in our E · MAGAZINE. Want more exciting insights into the Reeperbahn Festival Universe? In our E · MAGAZINE we present to you artist portraits, interesting interviews with representatives of the music industy, in-depth essays and more on a regular base. Stay tuned for various videos and insights to come! 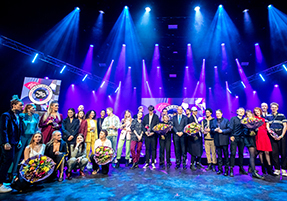 Last Wednesday the Public Choice Award Winners of the Music Moves Europe Talent Award were announced and awarded at Eurosonic in Groningen, NL. 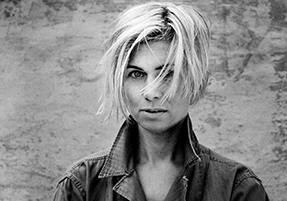 After a jury previously selected twelve winners in six categories, who represent the European sound of today and tomorrow, it was up to the public to vote for their favorite artist in six categories. Make A Reservation For An Elbphilharmonie Concert – Register Soon! The spectacular Elbphilharmonie will once again be a venue of ours and host a total of three concerts. Experience Anna Ternheim vs. Kaiser Quartett, Lisa Morgenstern or Efterklang. All holders of a Conference Ticket can choose between attending one of three Elbphilharmonie concerts. Conference Tickets for Reeperbahn Festival 2019 can be purchased online for only €189.00 (+ 19% VAT and sales fee) at the low Spring Rate until the end of March. Purchase here. Furhter choose unlimited from 900 events in the categories of sessions, concerts and showcases, meetings, networking events and awards shows as well as film, art and word.